COCC's Small Business Development Center dispenses experience and advice for entrepreneurs. Every small business dreams big. But taking that idea, those skills, or the most desirable product or service and rendering it into a well-oiled, profitable operation, is a daunting enterprise. Luckily, there's a local resource that can help Central Oregon businesses map a path to success. The Small Business Development Center at Central Oregon Community College is a team of talented individuals that provides practical navigational tools for the crucial early phases of entrepreneurship — and well beyond. Hands-on workshops, no-cost advising and a fully-fledged business management program are just part of how the SBDC is helping clients get themselves oriented. Maybe you need to create your own website or learn the finer points of QuickBooks. Or maybe you have the seed of a product concept but aren't sure how to best hammer out a business plan. Perhaps you've been in the business environment a while and need to revamp your marketing goals, hone your approach. The SBDC can help both out-of-the-gate start-ups and seasoned businesses already underway. When Madras-based Howling Boy Tech Inc., a technical problem-solving business, first launched in 2016, the company was flush with 20-plus years of computer know-how — able to offer everything from customized software creation to tricky data recovery. Yet the venture required some business-minded refinement. 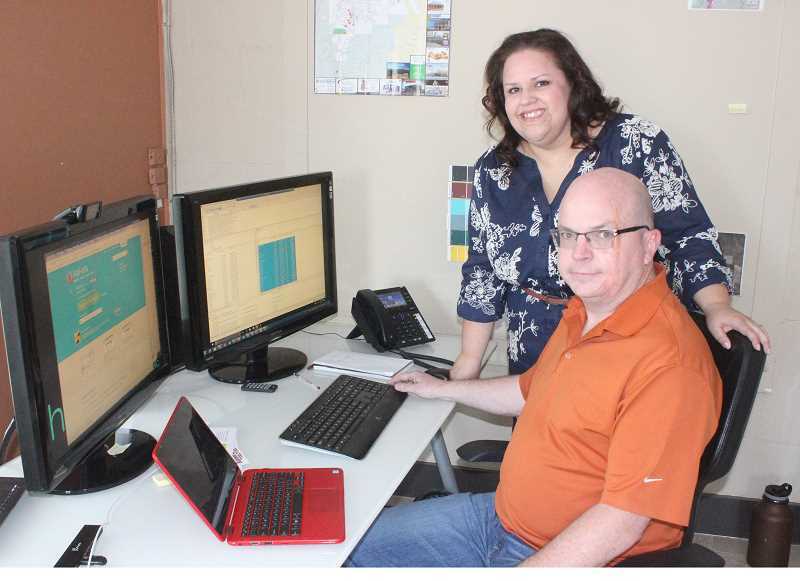 "I have great technical skills and experience," said Michael Leslie, who founded the business with his wife, Tracey. "But I don't always think in terms of business strategy or what makes a sustainable business practice, so I knew that I was going to need help in making a successful business." He turned to SBDC and met with business advisor Jose Balcazar. "Jose took time to understand what I was thinking, helped me focus on what was important —and how to think like one of my potential customers, rather than the technical geek behind the scenes," said Leslie. "I was initially focused on what I thought would be good, and they helped me to focus more on what my customers would want or need, and how my prospective customers would be thinking," he added. Leslie learned things like pricing strategies and helping the customer see value in the services offered. His business now includes an expanded focus, incorporating image analysis by way of software, drones and land surveys. "The return on investment is enormous," he added. "SBDC's counselors have lots of diverse business experience and there is great value to be gained from the experience. After every session with Jose, I felt like I had two to four new principles that I understood and could immediately apply to bring more value to my dream, my customers and my business." For those already engaged in running a business and in need of a consult, the SBDC offers no-cost, confidential advising, with personal sessions available at all four of COCC's campuses in Madras, Bend, Redmond, and Prineville. Consults cover topics like cash flow management and market research. New businesses can gain access to this as well, but are required to take an SBDC HYPERLINK "https://www.cocc.edu/sbdc/starting-your-business/"Business Start-Up class first, with classes offered each month for $29. These classes delve into the basics of starting a business, helping new ventures avoid costly mistakes. The next class is Wednesday, Oct. 4, 11 a.m. to 1 p.m., at the COCC Chandler Lab in Bend. Call 541-383-7290, or register at cocc.edu. Patti Norris is an SBDC business advisor, which can mean many different things, ranging from a teacher and a researcher to a number-cruncher and a connection-maker. "I love being a part of helping someone fulfill their dream and empowering them to achieve more than they thought possible," she said. "No business owner is an expert in everything it takes to run a business, and that's OK. But those aspects of your business you don't feel confident about aren't going away, and ignoring them won't make it better. The only cost to meet with an advisor is an hour of your time." For more information on COCC's Small Business Development Center's services and programs, call 541-383-7290, visit cocc.edu, or contact the Madras campus at 541-550-4100.